Thank you for visiting my Real Estate Blog! I am hoping you use this as a resource, whether you are looking to get some more information when it comes to buying or selling a home. I just came across this interesting article on the Forbes website, "Should You Use Your Retirement Savings to Buy a Home?". Its something that I know many buyers are curious about. Coming up with a down payment for a home can be very difficult, especially for many first time home buyers. This article mentions that there may be some ways to get you closer to that down payment. 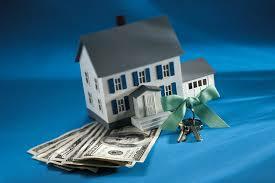 Most people would have a better chance at acquiring a mortgage loan if they were able to put 20% down. I don't know about you, but thats a lot of money to save up and could take a long time! My husband and I were looking for a home of our own and we decided to wait another year to buy- we realized how hard it would be to get all that money upfront, without being "house poor". This article mentions that First Time Home Buyers, who are defined as either never owning a home before, or not owning a home for the past 2 years (even if you've owned a home in the past), may be able to dip into their retirement account for additional funds. The IRS is offering a no penalty, and tax break for those first time home buyers of up to $10,000! Take a second and read this article to see if this can apply to you! Most people get very excited when it comes to buying a new home. There are many common mistakes that people of all age ranges make. Making sure you pick the right type of mortgage is extremely important- it could end up costing you a lot of money years down the line even if its less for the first few years of ownership. Make sure you talk to someone that has a lot of experience with mortgages and can help guide you every step of the way, but do your research! If you choose the wrong type of mortgage based on something (like and ARM) that may cost you less now, but can also end up doubling or tripling your mortgage years down the line. Choosing the right size home is something to be considered, especially for newly married couples who plan to start a family. Some new couples, or even single men or women, invest in what they want at that moment. For example, they may want the small but amazing condo that overlooks the city, yet has very little space for more than 1 or 2 people. But it can also cause them to have to sell at the wrong time if, lets say, the newly married couple decides to start a family. You could be forced to move unexpectedly at the wrong time of the year- depending on each situation. So choose something you plan to stay in for as long as you think you will need to. Making sure you have the right budget for the home you are choosing, and not over your budget, is also extremely important. People that have had more time to save, have a tendency to overspend. They think they can afford a certain type of home, and realize it is over their budget. Read the article by RIS Media here.